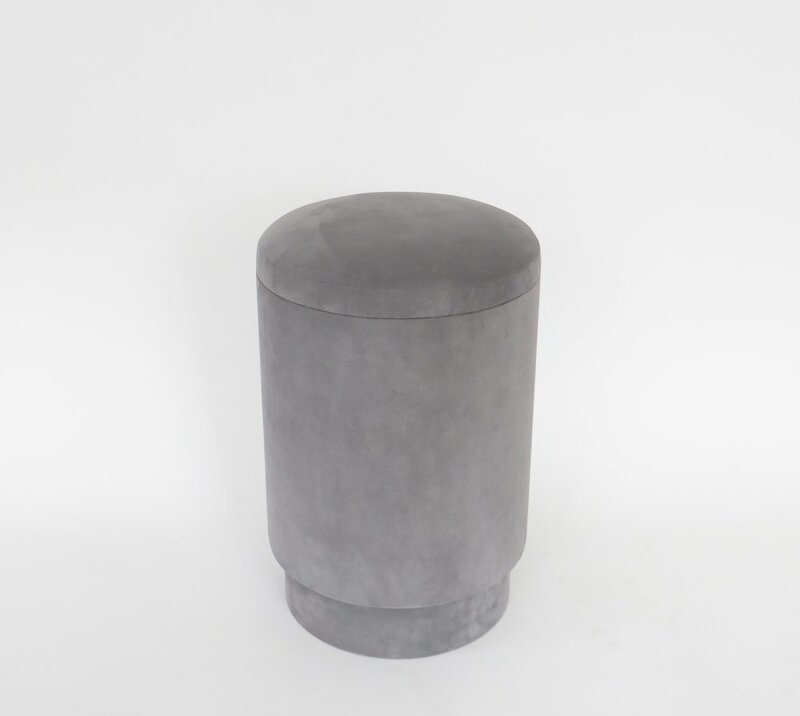 A Michael Verheyden pouf or tabou with storage covered in a light gray suede. Pouf with storage space is covered in the most beautiful suede. Covered in black suede inside. Michael Verheyden is a Belgium based designer creating home objects, furniture and fashion accessories. With a background in Industrial Design he seeks to use leather in innovative way. Other colors available as shown dark gray, rose pink by special order.